The lawyer for David Russell Williams, a Colonel in the Canadian Air Command, indicated this week that he plans to plead guilty. Williams was charged in February with two counts of first-degree murder, two counts of forcible confinement, and two counts of breaking and entering and sexual assault. Williams was a decorated military officer. He wears a South-West Asia Service Medal with bar and a Canadian Forces Decoration. 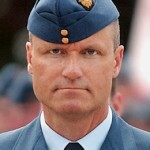 In July 2009, he became base commander at Canadian Forces Base Trenton. Police say he began by breaking into homes near Williams’ Ottawa home. It is believed he was stealing lingerie. This escalated to sexual assault in connection with two separate home invasions near Tweed, Ontario, where Williams owns a cottage. Police reports say two women had been bound and raped in their homes, and pictures were taken of them. Police say he escalated again, with the murders of Corporal Marie-France Corneau of Brighton and Jessica Lloyd of Belleville. Investigators matched tire tracks from Williams’ Nissan Pathfinder with those left near victim Lloyd’s home. Williams was arrested and led police to her body. The Williams case is unusual as most organized sexual murderers begin their life of crime at a young age. By the age of 40, their homicidal impulses are typically winding down. Williams, who had a long, successful military career, didn’t begin his fetish home burglaries until the age of 44. Police across Canada have reopened unsolved cases involving the murder of young women in areas where Williams had been stationed. We should not be surprised if it turns out that he was committing murder much earlier. Williams appears to be a lust murderer, a paraphilic who receives sexual gratification in committing murder.